I have been fascinated with reptiles my entire life. When I was a kid growing up in Wisconsin, I spent a lot of my free time roaming the swamps and forests, searching for whatever reptiles I could find. Fox Snakes, Garter Snakes, and Red-bellied Snakes were fairly common. I also found a lot of frogs- mainly Leopard, Wood, and Bullfrogs. Painted and Snapping Turtles were also common discoveries. Eventually, I wanted to keep something a little more exotic- Green Anoles! My dad bought me my first anoles when I was 6. 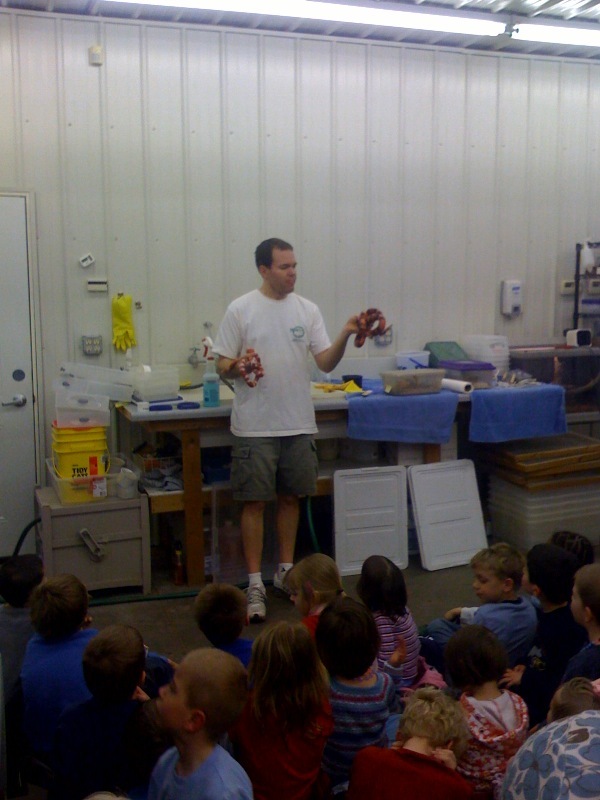 Its amazing to me when I think back all those years ago how little I knew about how to care for reptiles. Over the years, I kept many species of lizards including Red-headed Agamas, Butterfly Agamas, Tokay Geckos, Flying Geckos, Lacertas and dozens of other species. These were mostly whatever imported animals the local pet stores carried, which was all that was available at the time. Keep in mind that this was during the 70s and 80s when captive breeding was just getting started. In the early 90s, when I went to college at the University of Wisconsin- Stevens Point, my reptile interest continued to grow. I went on a school trip to Costa Rica during our winter break in 1993. I was in reptile heaven! I found Basilisk lizards, Boa Constrictors, Spiny Iguanas, Coral Snakes, Leatherback Sea Turtles, Crocodiles, and lots of other species. It was so amazing to see these animals in the wild. By the time I got back from that trip, I knew I had to find a career that deal with reptiles. My first idea was to become a zookeeper. After all, as a kid, I always told my parents I'd be one when I grew up. In 1994, I got a part-time job at a local pet store that dealt with some reptiles. 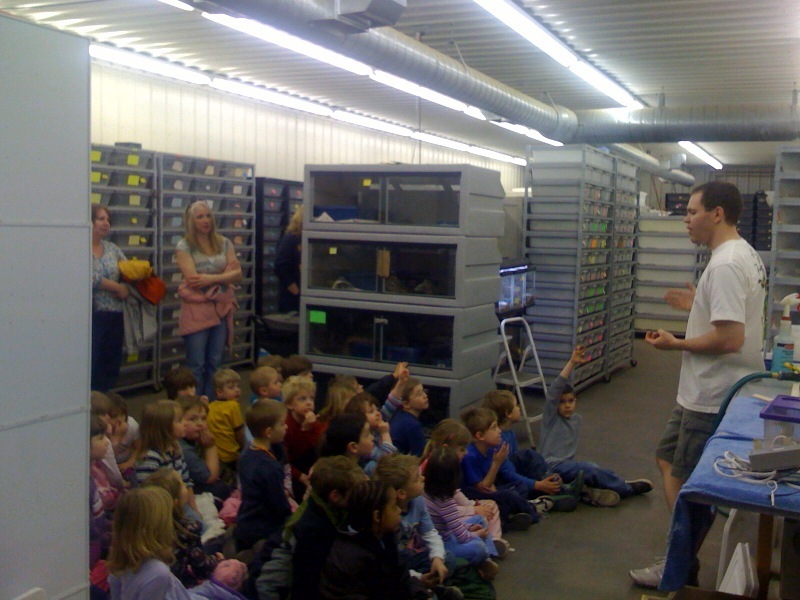 What a perfect way to spend the summer and weekends.- talking to people about reptiles! I began to see the commercial side of them, and how captive breeding was becoming a popular trend. It was easy for me to see how much better captive bred reptiles thrive compared to wild-caught ones. I decided to start breeding a few animals of my own. I started with a pair of Giant Day Geckos that I kept in my dorm room. They started breeding and I had some success hatching and raising the babies. I decided to try some other species- mainly Leopard Geckos, Veiled Chameleons, and Bearded Dragons. My parents allowed me to keep my collection in part of their basement. Since I went to school only 20 miles from home, I could come home once during the week as well as weekends to care for them. Over the next couple of years, my collection grew and grew. Before I knew it, I pretty much had the entire basement filled with glass aquariums with a huge assortment of animals. During that time, I experimented with many species of reptiles. I kept lots of snakes including Cornsnakes, Milksnakes, Ball Pythons, Boa Constrictors, Dumerils Boas, Rainbow Boas, Carpet Pythons, and Green Tree Pythons. I had a lot of species of lizards including Veiled, Panther, Carpet, Jackson's and Johnston's Chameleons as well as Gold Dust, Lined, Standings, Yellow-headed, and Grandis Day Geckos and the Uroplatus species: phantasticus, ebanaui, linneatus, sikorae, fimbriatus, and henkeli. I worked with Frilled Dragons, Green Basiliks, and many, many other species. It took me a really long time to figure out which species were best suited for me. I spent a lot of my hard-earned money as well as some student loan money, and credit card debt on animals, housing, food, and everything else I needed. My business, Captive Reptile Specialties was born. I decided I wanted to breed reptiles for a living so I decided to get a degree in Biology. At the same time, I realized I needed to take some business and computer classes. There's a lot more to a reptile business than just reptiles. I needed to learn how to run a business and market my animals. The internet really took off in the early to mid 90s, too. I realized it was the future of this business. I decided to use the trade name CrestedGecko.com. I felt it was easy for people to remember and more specific than my actual business name Captive Reptile Specialties. By having an online presense, I could reach customers all over the world! Before that, I could only show my animals at a few midwest shows. I also did internships at the Sedwick County Zoo in Wichita, Kansas, and the Houston Zoo in Texas. Those were great experiences because I could see firsthand how large collections were managed. While I was at my internship in Houston, I was able to tour the San Antonio Zoo. I also got to spend several hours visitig Ron Tremper and Dave and Tracy Barker. Ron is one of the true pioneers of captive breeding. He showed me his amazing collection of bearded dragons, chameleons, and leopard geckos. Dave and Tracy Barker of VPI have one of the most diverse collection of pythons in the world. It was such an amazing and pivitol experience for me to visit those breeders and see their facilities. In 1998, I took a job at a reptile wholealer in the Chicago area called Mid America Reptile. I had several years managing my own collection so I was hired to run the captive breeding projects of this business. I learned a lot about large-scale breeding of leopard geckos, bearded dragons, and several other species. Unfortunately, there were long hours involved with that job and my own business would never get off the ground if I stayed working there. I had to choose between being an employee or running my own business. I moved back to Central Wisconsin and continued with my business. I worked at the pet store that I worked at while in college until 2000. At that time, I was finally able to operate my business as a full-time career and I've been doing it ever since. In 2004, only days after my wife Sheila and I were married, construction of our new breeding facility was completed. I now have about 3500 square feet of space to work with. This includes a full office and several large rooms that allow us to seperate species according to their environmental needs. Each room has an independent thermostat and heat source so we are able to fine tune the environment. I have one full-time employee to help with the workload involved with caring for all of these animals. In 2003, I started a second business, Royal Constrictor Designs with a business partner. 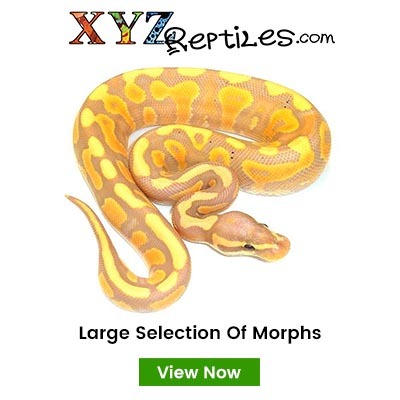 The focus of that business is to produce ball python morphs on a large scale. 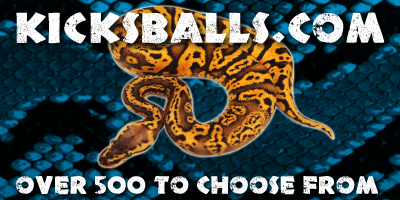 Our collection has grown to several hundred breeders of many color morphs of ball pythons as well as some Super Dwarf Reticulated Pythons. I strive to produce some of the finest quality reptiles in captivity. 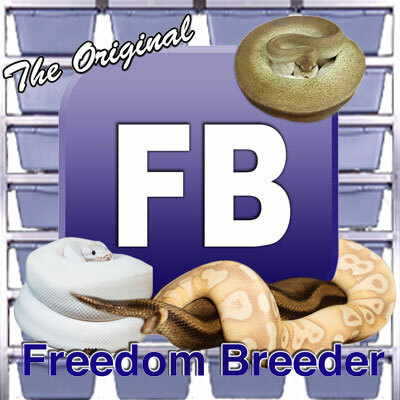 I have experimented with many species over the years to determine which species make the best pets, are the most marketable, and has the best potential for a captive breeding project. My biggest problem is that I love so many different species! I had to carefully choose which ones to work with. For snakes, I have concentrated on ball pythons, boa constrictors, and green tree pythons. Leopard Geckos, Crested Geckos, Fat Tail Geckos, and Bearded Dragons are the lizard species that I decided to focus on. However, I'm always looking into other projects such as the Super Dwarf Reticulated Pythons and Knob-Tail Geckos. I really want my customers to be happy with the animals they chose to purchase from us. I am able to do this by providing species that do well in captivity, and providing the most beautiful, healthiest example of those species. I take great pride in my animals and I feel honored to be doing a "job" I absolutely love as a career. Stay tuned as there are many great things to come as I strive to perfect my craft!